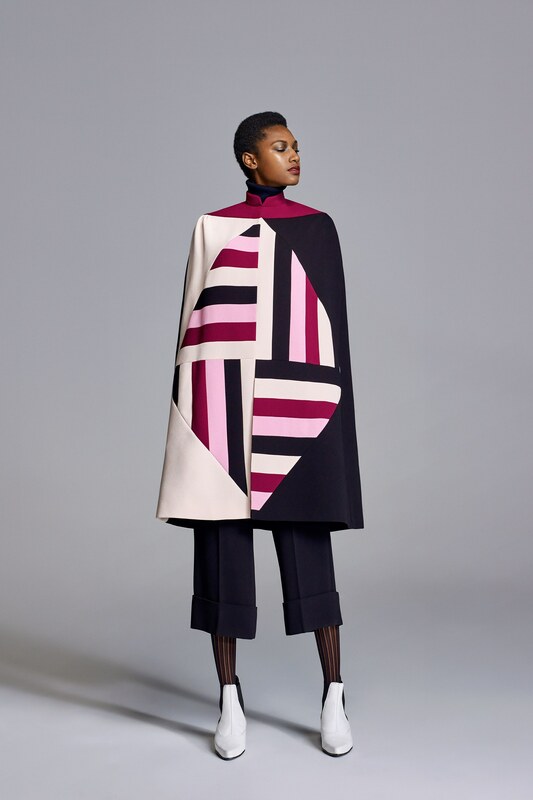 Duro Olowu tends to populate his mood board with a host of strong, creative women. This season, Pauline Black—front woman of the two-tone ska revival band the Selecter—played the leading role in his inspiration. Fusing traditional ska rhythms with a punk edge, the music she made was a rousing response to Thatcherism in ’80s Britain and had a defiantly chic look to match.